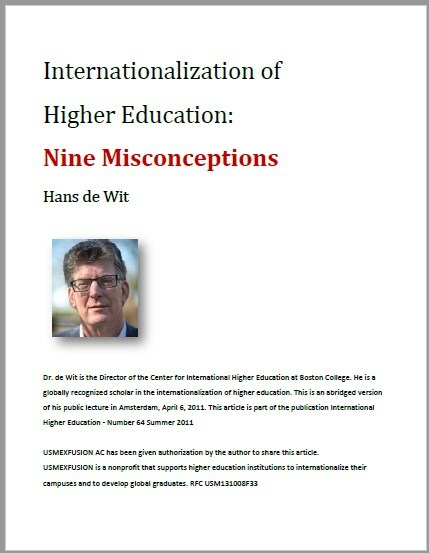 What is internationalization of higher education? STEMP Students Empowered Teaching Method. A Free and Open-Access Teaching Method that Supports Campus Internationalization. Developing global competencies (soft and hard) requires a teaching approach that changes the traditional power structure in the classroom. This method empowers students to learn for themselves, to help others learn, to be themselves, to tap into their individual attitudes and aptitudes. Students are empowered and supported in a way so that they are in charge of the teaching-learning processes. We have videos and resources for teachers to learn about the method, how it is implemented and how to pilot it. STEMP can be implemented with the support of textbooks and it can also be implemented without textbooks. STEMP can be adapted to be used in classes with no technology to classes with high use of technology. Note: This method is not intended to be a "one-size-fits-all" method. It is intended to be flexible, open and adaptable. It was created to serve as a provocative resource, a sensitizer, a reference, which educational institutions can tap into in its entirety or only utilize the parts that are needed or useful. We respect your academic freedom. STEMP is based on a variety of theoretical concepts. We use Cornell University´s Center for Teaching Excellence´s resources as a theoretical basis for STEMP: Flipping the Classroom, Active Learning, Collaborative Learning, Problem-Based Learning, Using Rubrics, Student Evaluations of Method and the Teaching. We also use resources on the importance of Drama in Education such as the Research Project supported by the European Union Drama Improves Competences in Education (DICE). Pictures used in this section show EFL/ESL classes where STEMP was piloted. This does NOT mean that STEMP works only in foreign language classes. STEMP works to teach ANY content class as well. In teams, students are given 50 minutes to present a topic or a number of topics assigned by the instructor. Students will always know their topic a minimum of two weeks in advance. Students prepare all content and materials for their presentations. Students are responsible for creating all class materials for the day their team is facilitating a class. Interactive activities must get everyone involved. Students are responsible for preparing and facilitating these activities. When facilitating a class, students have to prepare a printed handout with exercises that reinforce topics presented on that day. Students that present the topics are responsible for monitoring learning and making sure everyone understands the whys and hows of every topic and exercise. Every two to three weeks, students perform (in teams of 2-3 participants) a scenario where they have to use the knowledge, skills and attitudes developed in class the previous two or three weeks. Students are requiered to invite international guest speakers that live in the local community to present on a specific topic and interact with their classmates. As part of the course, students keep a portfolio of all the activities and materials in class. 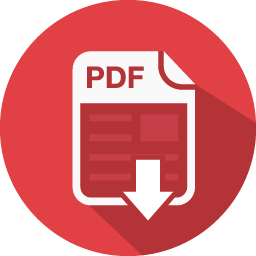 It is individual work and can be either a hard-copy portfolio or an e-portfolio. It may even take the shape of a blog. Once a month, there is an instructor or peer-assessment of the portfolios. 1. Meet with 2 or 3 instructors that wish to pilot STEMP in their classes. Discuss the method and clarify doubts. 2. Create calendar (plan every day/class of the course). 5. Create materials to facilitate a topic and set the tone for student presentation expectations. 1. Facilitate a class with three components: a presentation, an interactive activity, & a printed activity. 2. Invite and host a guest speaker. 3. Explain the components of a scenario and perform one for the students. 4. Form presentation, scenario, and guest speaker groups. 1. Carry out daily formative assessments. 2. Facilitate or reinforce topics. 4. Enforce punctuality and attendance. 1. Observe a class of at least one teacher that is also piloting STEMP. 2. Meet with other teachers piloting STEMP to share best practices, discuss challenges, and work together to find ways to improve what has not worked as expected. Have students assess the method using a SWOT tool in the middle of course. Have students assess the method using a SWOT tool at the end of course. Meet with other teachers piloting STEMP. Draw conclusions and prepare for a second pilot. USMEXFUSION presented on the Teaching Method STEMP (Students Empowered) at the 6th International Virtual Global Education Conference 2015 http://www.globaleducationconference.com/ on Tuesday November 17th, 2015.
by method co-creator Carlos S. Huerta Jimenez, MA. Download this article by entering your email below. You will receive other useful resources.